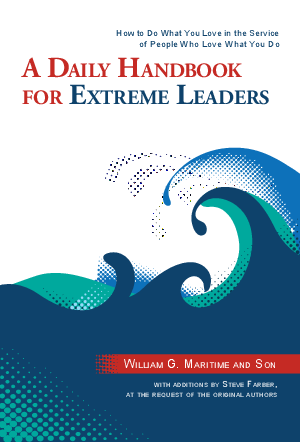 Are you an Extreme Leader? Do you aspire to be one? The Extreme Leader doesn't just meet the existing standards; she or he defines higher ones. This handbook draws upon lessons from The Radical Leap Re-Energized by leadership expert Steve Farber, offering tips for taking your leadership to the next level.